Michael Eltiste & Son first store, located at 131-137 North Glassell Street, Orange, California. someone peers through the window. 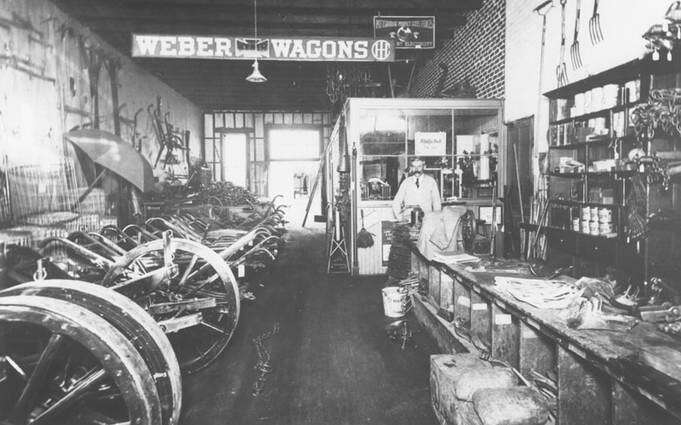 Michael sold Weber Wagons, Pittsburgh Perfect Steel Fence, Tractors, Trucks, Oakland Automobiles, Farm Equipment, Alfalfa Seed, & other Agricultural Seed.